Xero – the world’s best small business accounting software. Fed up of cumbersome data transfer by email? Want to be sure you are working with the most up-to-date set of figures? Need to be able to access client data from anywhere at any time? Want to be sure your client data is secure and compliant with data protection laws? Need to be able to share data quickly and easily with your client/team? Xero cloud-based accounting software connects people with the right numbers anytime, anywhere, on any device. With iOS and Android Xero apps, you can work from any location. No matter where you are, you will be confident you have an up-to-date picture of how your business is doing. Furthermore, Xero’s add-ons mean you have a full, integrated system that is scalable, cost-effective and user-friendly. 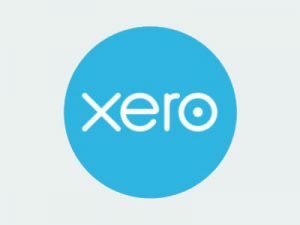 Operating on the cloud means that Xero can eliminate many time-consuming elements of traditional accounting software. Xero is the first-choice of accountants, who need to share accounting information with their clients. What can Xero do for you? Allows you to work from any location on any device. Xero eliminates the time-consuming elements of traditional accounting software. Xero ensures you are always working with the most up-to-date set of figures. With Xero real-time data can be easily and instantly shared with your client and members of your team. Xero can be integrated with your CRM system and MailChimp, so that data is updated automatically across all three systems, saving you time and effort. Over 500 Xero add-ons (such as online payments and automated bookkeeping) mean that Xero will grow with your business. Integrating Xero with other software makes it even more powerful. Save time and money reducing duplication of effort. Make more money by maximising your organisation’s information.